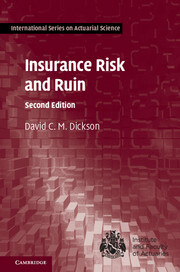 The focus of this book is on the two major areas of risk theory: aggregate claims distributions and ruin theory. For aggregate claims distributions, detailed descriptions are given of recursive techniques that can be used in the individual and collective risk models. 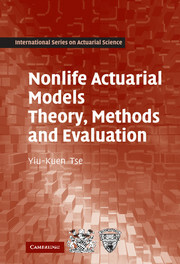 For the collective model, the book discusses different classes of counting distribution, and presents recursion schemes for probability functions and moments. For the individual model, the book illustrates the three most commonly applied techniques. Beyond the classical topics in ruin theory, this new edition features an expanded section covering time of ruin problems, Gerber–Shiu functions, and the application of De Vylder approximations. 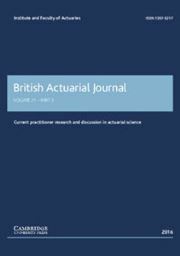 Suitable for a first course in insurance risk theory and extensively classroom tested, the book is accessible to readers with a solid understanding of basic probability. 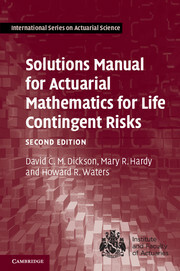 Numerous worked examples are included and each chapter concludes with exercises for which complete solutions are provided. David C. M. Dickson is Professor of Actuarial Studies at the University of Melbourne. His main research interest is ruin theory, and he has published many papers in the leading international actuarial journals. 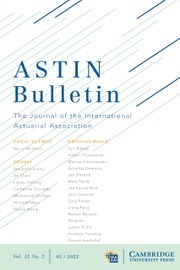 He is a Fellow of the Institute and Faculty of Actuaries in the UK and the Institute of Actuaries of Australia, and has twice been awarded the H. M. Jackson Prize of the Institute of Actuaries of Australia, most recently for the first edition of this book. 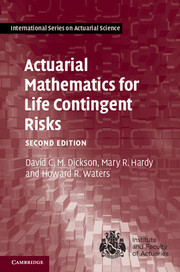 He is also a co-author of Actuarial Mathematics for Life Contingent Risks (Cambridge, 2013), the recommended text for the Society of Actuaries MLC exam.